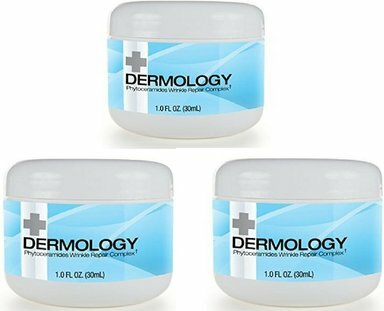 Dermology phytoceramides wrinkle repair complex is an advanced formula that moisturizes the skin deeply and helps in the production of collagen to smooth out the wrinkles. The unique combination of Argireline, Matrixyl 3000 and Hyaluronic acid in Dermology Wrinkle Repair Cream works toward the collagen production in the skin to make it supple and smooth. What are phytoceramides in Dermology Wrinkle Repair Complex formula? Unlike ceramides, phytoceramides are entirely organic and are produced exclusively from sweet potato, wheat or rice. Phytoceramides in wrinkle repair complex by Dermology locks in the moisture inside out, making wrinkles less pronounced while rejuvenating the skin. How does phytoceramides work in Dermology anti-wrinkle cream? Phytoceramides contain lipids that are found naturally in our skin, but stop developing as we age. However, these lipids in Dermology phytoceramides wrinkle repair formula mimic working of natural lipids to plump up the skin. Penetrating into all the layers of our skin from epidermis to dermis and beyond. Encouraging protective barrier against infections and inflammation, bringing down the skin problems like dry skin, sun damage and patches. Reversing the existing aging signs such as crow’s feet and fine lines. Are phytoceramides safe for you? Absolutely, phytoceramides are not derived from any unnatural sources like ceramides. They are totally natural and plant-based, so there are hardly any side effects of it. However, if you’re allergic to wheat or have an intolerance, you may find wheat-based phytoceramides similarly disturbing. And until further research on phytoceramides, it is advised to pregnant and nursing mothers to not use Dermology phytoceramides wrinkle repair complex formula. Do I get any offers on the 3 months supply of Dermology phytoceramides wrinkle repair complex? 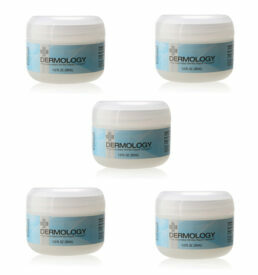 Definitely, you get a great offer on the 3 month supply of Dermology anti-wrinkle cream. All the three main ingredients of Dermology Matrixyl 3000, Argireline and Hyaluronic acid" have been studied extensively for their effects on the aging skin. These three ingredients work together to make your skin leave behind sagging, fine lines, wrinkles and other aging issues. They help the skin become visibly smoother and taut. Argireline relaxes the muscles to make the skin appear smooth, hyaluronic acid makes skin loose sagginess and matrixyl 3000 stimulates collagen formation. Second time I’m ordering this cream, it feel great on skin and makes it soft and smooth. I’ll continue using this as it is helping me to fight with aging skin. 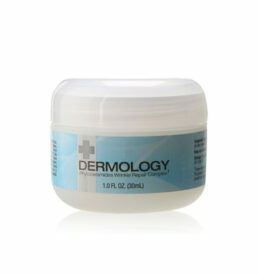 My skin didn’t respond well to the Dermology antia-ging cream initially. When I was going to give up, I saw something that stopped me from doing so. The fine lines under my eyes were fading. Now after 3 months of use, I can say that this has been the best cream of all that I have used.